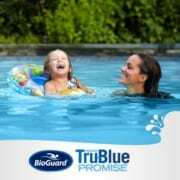 Pool Closing Complete™ from BioGuard is just what you need for the final touch of your pool closing. 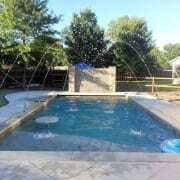 Whether you close your pool later this fall or have us do it, this is a great product to add before closing time. Pool Closing Complete protects your pool in the off season by safeguarding your valuable equipment and surfaces during the cold winter months. It helps ensure a much quicker spring opening! Make sure all pool equipment is working properly, including pump, filter, skimmer and heater. If needed, backwash and/or clean filter according to manufacturer’s directions. 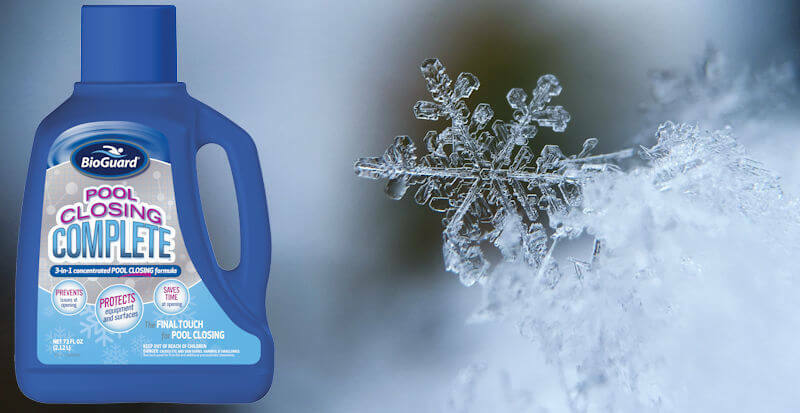 Follow manufacturer’s directions for winterizing equipment. Shake well before using. Apply entire bottle (72 fl oz) for up to 25,000 gallons of pool water. For pools less than 12,000 gallons, apply half the bottle. Allow pump and filter to operate for at least 2 hours after application. Stop by one of our stores and pick yours up today.